I hope you had a wonderful Thanksgiving. I had a great day with lots of love and good food. I look forward to sharing some fun holiday posts the next few weeks. I looked for dachshund videos for the holidays and found one that I love ... I hope you enjoy it too. It is by famous dachshund Crusoe and his buddy Oakley. Oakley wears reindeer ears ("wiendeer") and pulls Crusoe, who is dressed as Santa. There is even a chimney ... and treats for Santa! I am very impressed at Oakley's ability to act as a reindeer! I hope you enjoyed this short video as much as I did. Have a wonderful weekend! I'm glad you had a good Thanksgiving. I love Crusoe and Oakley but never saw this video before. Thanks for sharing it! 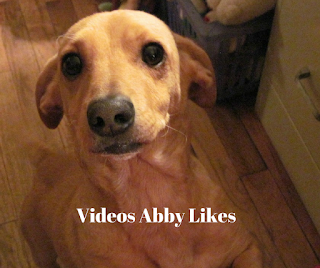 Abby I am so glad that you had a good Thanksgiving and the video is so cute. My Mommy gets a Doxie calendar every year. My Mommy went shopping today from my favorite store Petsmart she said for my Christmas I am so excited. Haley and my Mommy Aliceson. Thanks, friends! I appreciate your visits and comments. 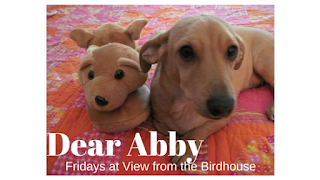 Aliceson, my Momma loves those dachshund calendars too -- they are so cute!